In May I shared the 5 Signs of a Bad Leader and took that message to LinkedIn Pulse. Wow, what a response! It took me several days to get through my email and the post went viral with people across 23 countries writing me about their bad bosses. Indeed we have a leadership problem in this world so it was great to feel validated I wasn’t the only one seeing some common threads. Something came to me through that process, many of you have issues with your colleagues too. Dysfunction exists at all levels, and especially amongst peers. 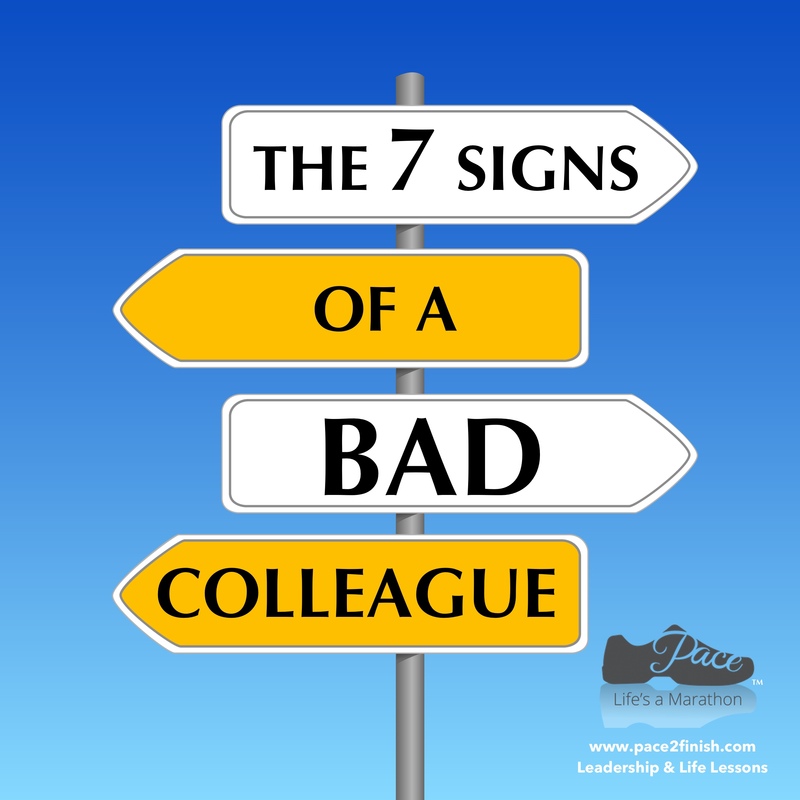 So in honor of all of you, here are my 6-7 signs of a bad colleague. Ah yes, the bouncer is someone who is only in role long enough to get something going, but not done. They are a bit like seagulls. 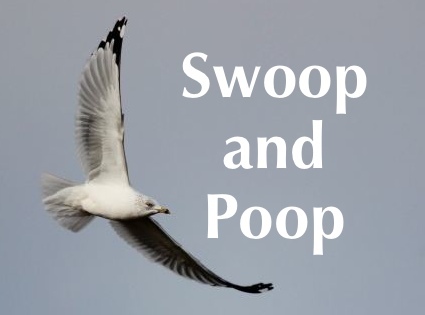 They swoop, poop and leave a big mess in their trail. Perhaps you’re the lucky one who gets to come in behind has to clean up their mess. Sometimes they have innovative ideas and if you’re lucky you can latch a hold to that and make those things happen. Just hope and pray you have a good leader who can reward you for that hard work. This person’s modus operandis is that everything moves. This colleague’s greatest skill is divergence. They love complexity and to claim that everything they do (not do) is so difficult. Meanwhile, some poor soul (perhaps you) end up stepping up to make sure the work gets done. Way to go and take one for the team but really is it your job to enable this? Save yourself the work and let the waste manifest visible enough that when the whole thing hits the wall, you get the call to do the job. Hopefully you’ll get rewarded too. This is the person who thinks so big …they have great ideas but in reality getting those ideas on the ground where they can make a difference just never seems to happen. We need big thinkers but we need them to connect with the real world. Be the bridge between the sky and the ground for them and help them integrate their value into the team. Coat tailors ride on the success of others and cannot create their own. They follow, name drop, and bring very little to the table. The good news is a coat tailor gets found out when he/she has to do to a real job like the rest of us. Sometimes they swim and often times they sink. Everyone’s gotta hit rock bottom at some point, right? 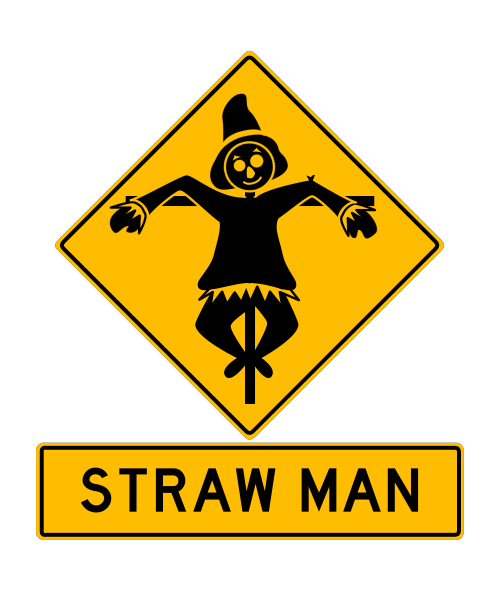 I just love it when I get asked to put together a “straw man” for someone. These folks can’t create a thing but will easily take your work and make his/her own. Oh sure this is flattery but what’ worse is when they don’t like something, these people are quick to take the red pen out and make critiques. Seriously, the world needs more artists and actors than we need unoriginal critics. Encourage the straw man/woman to bring a few ideas of their own, instead of taking yours. After all, this is about inspiring collaborative innovation right? This colleague can get away with anything and everything. He/she can break the rules because they are above them. These people are the ones who take advantage of the company AMEX and blur the lines on relationships. However this indulgent attitude and the reckless associated behaviors eventually shine a light so bright that they won’t want the spotlight. Crafty colleagues don’t get too far. And in some cases, they become more of a risk than an asset, so their days are numbered. At some point if they can’t deliver anything, these folks get the door and they have to tough it in the real world with the rest of us. Be yourself. You don’t need the spotlight when you shine from within. And finally, there are 327482378 people on the planet. At the end of the day are you going to let 1 ruin your moment, day, project or career? I didn’t think so, so get back to work! Got some duds you want to tell me about? My mailbox is clean again, but something tells me that’s soon to change. You’re an idiot. 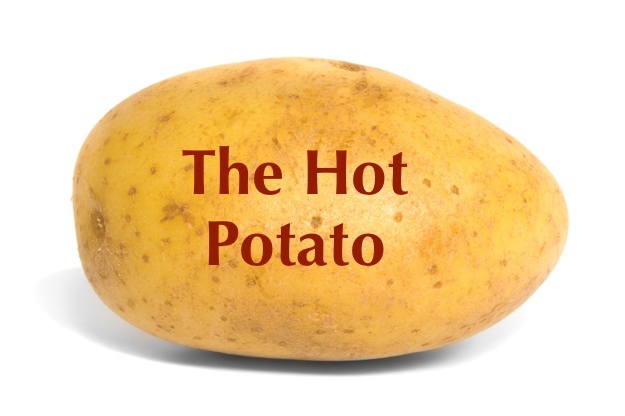 No explanation necessary.